Since we started our business in 2004 more than 3000 Chicagoland homeowners have trusted us to take care of their properties. We not only provide window cleaning service, but also reliability, trust and thoughtfulness. Our major objective is to please you with the quality of our service. We take pride in our reputation and quality of our work reflects this. We brush the window with special cleaning solution. 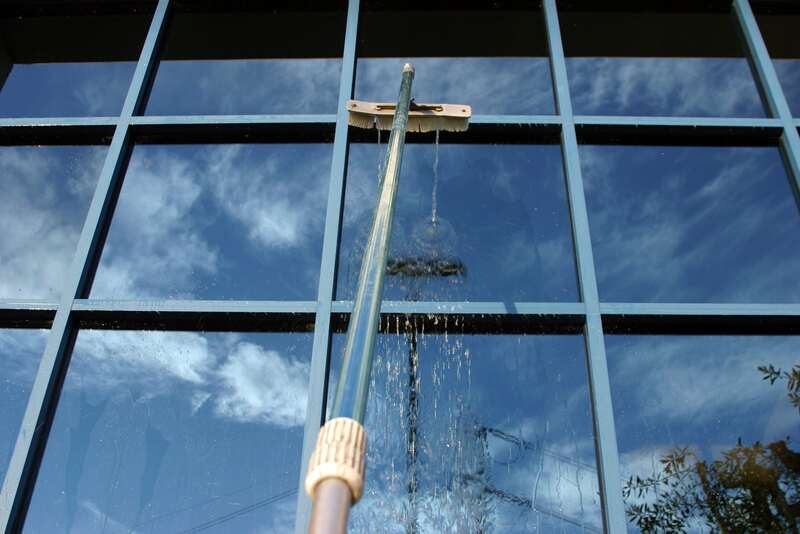 We use squeegees to remove dirt and cleaning solution from glass, leaving it sparkling clean. We wipe the edges with lint free, very absorbent cotton towels. When we work inside your home we take special care about cleanliness. We put drop cloths under the windows and our cleaning equipment. We never wear shoes inside your house. Our crews are trained to meet the highest industry standards and to use the most efficient window cleaning techniques. Your home is protected by $1 million in commercial liability coverage and our employees are covered with the Workers Compensation Insurance, so you can sleep well, knowing your property and valuables are going to be safe. We are 6 years in business and our database shows more than 3000 satisfied customers (over 100.000 windows cleaned). We use top end window cleaning equipment and safe cleaning solutions (no ammonia, no harmful chemicals). We are black and white – have nothing to hide.